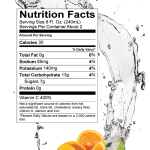 Serving suggestion: Serve cold for on-the-go replenishment and refreshment. 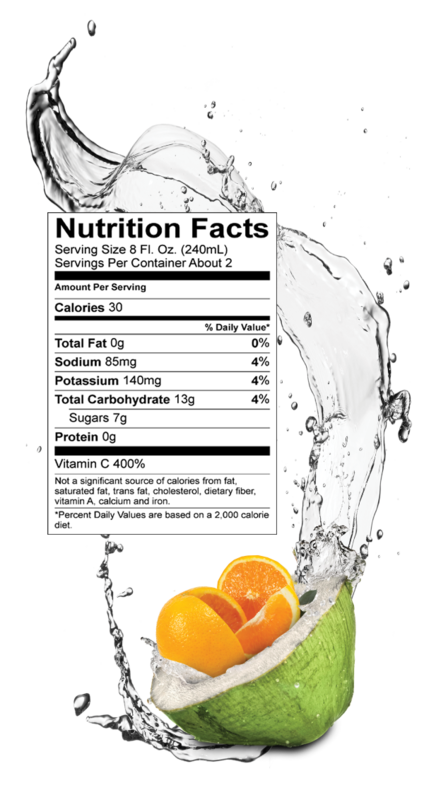 Product Size: Contains twelve 16.9 FL OZ Bottles. 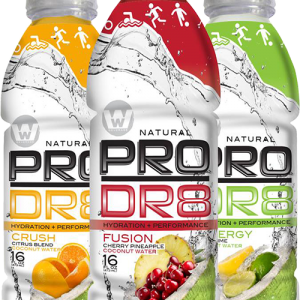 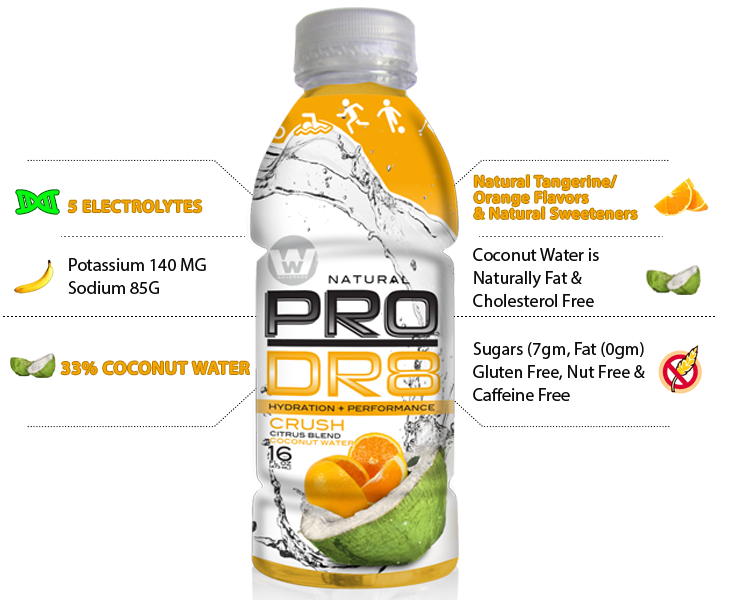 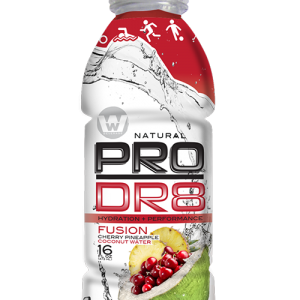 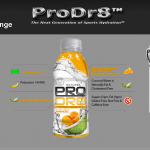 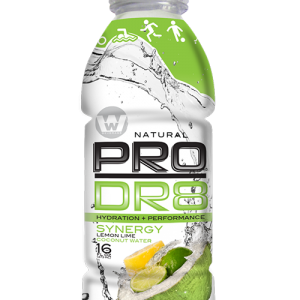 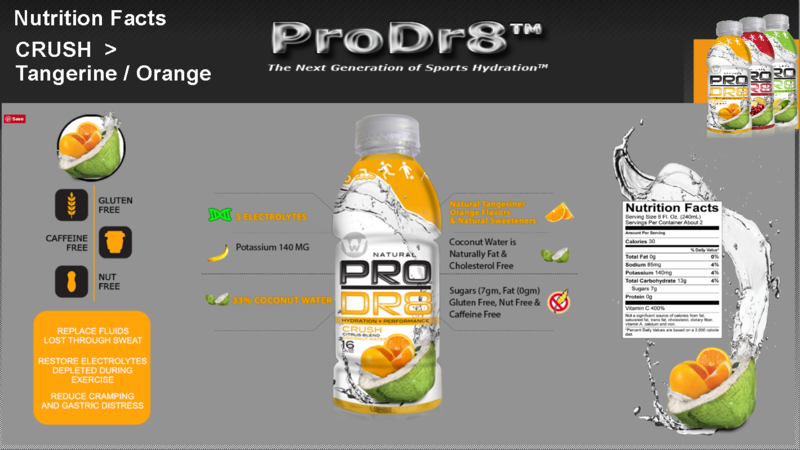 ProDr8® Orange/Tangerine juices & Coconut Water combined for an amazing taste profile. 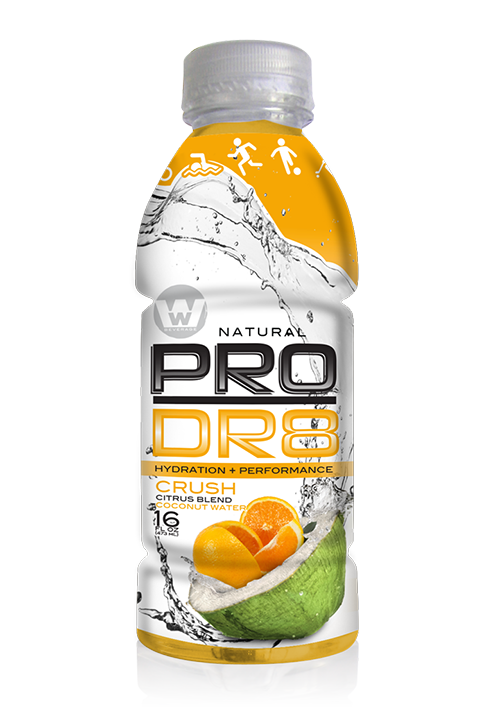 Our natural drink has no artificial color, flavors or added preservatives, ProDr8® Orange/Tangerine & Coconut water sports drink is full of tropical deliciousness – it’s the hydration your body muscles have been waiting for.